Brand creative agency Blue Kangaroo has designs on growth after a major investment and reorganisation deal. The Gateshead-based design agency, whose impressive list of global clients includes The Walt Disney Company, Universal Studios, Paramount Pictures and Mattel, is planning a bright future thanks to the injection of funds. The agency helps to create and transfer some of the most recognisable characters in TV and film on to licensed products, including packaging and retail materials. The Blue Kangaroo team worked on the upcoming Luc Besson film Valerian, which stars Cara Delevingne and is released this summer. In 2015 the team won the New Exporter Award at the North East Exporter’s Awards, sponsored by the Department of International Trade (DIT). The Barclays funding will now enable the business to increase its headcount and further expand operations at its headquarters in the Northern Design Centre, Gateshead. We, together with business advisers Baldwins, advised Blue Kangaroo on the reorganisation and obtaining the undisclosed sum of investment from Barclays. 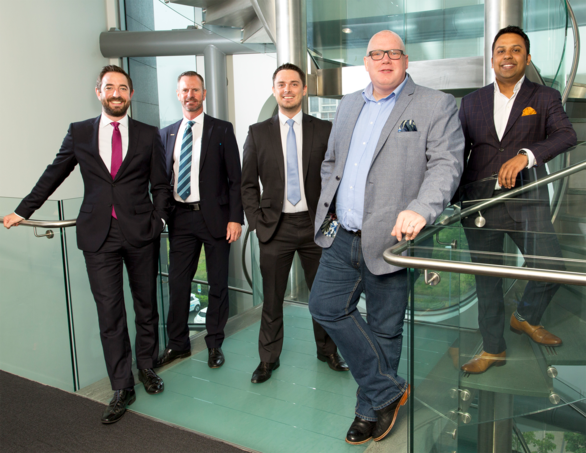 Jason Knights, managing director of Blue Kangaroo, said: “We now have a strong platform on which we can build and expand our business further. This will make the business healthier and better balanced for future growth. “It was great to work with the team from Muckle again, who have worked seamlessly with Baldwins and Barclays to secure the optimum investment solution and structure a deal to meet our objectives. Our legal team, led by associate solicitor Matthew Walsh and including Jess Swindells and Claire Willcock, advised Blue Kangaroo on the transaction over six months. Matthew said: “Muckle has enjoyed working with Jason and the Blue Kangaroo team for a long time now and it is great to have helped in the development and growth of this business. “We worked closely with Baldwins to deliver a result that provides the business with a springboard to win and deliver more great work to its clients. The Baldwins team was led by Abu Ali, corporate finance director, and Beverley Goodall, senior manager, who worked as advisers throughout the transaction. For more information on how we can help your business, please contact Andrew Davison on 0191 211 7950.